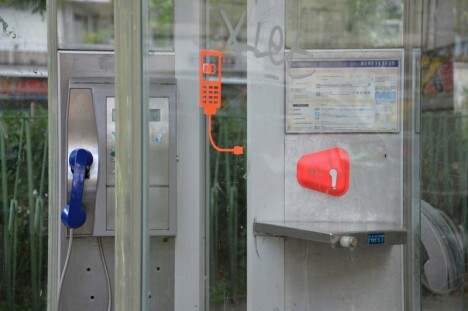 Three designers sneak around Paris, quickly installing brightly-colored machine-fabricated objects onto public chairs, phones, vending machines and other urban surfaces to make them more convenient to city residents. 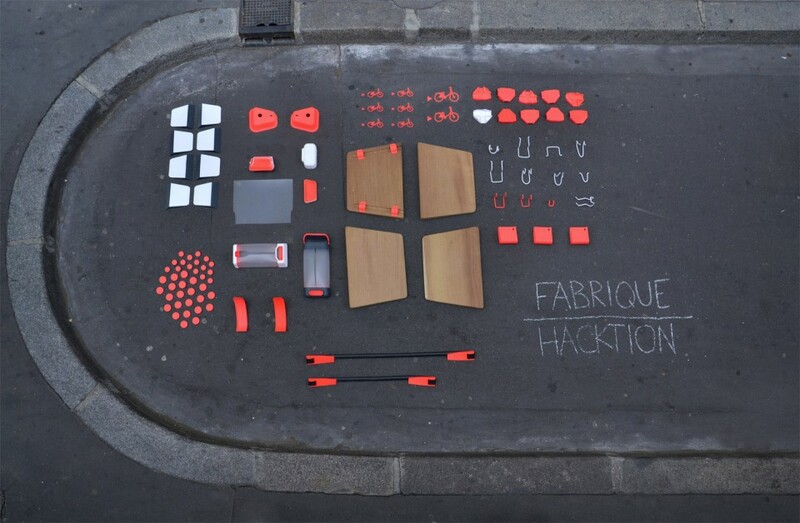 They call it ‘Fabrique-Hacktion,’ taking extra steps beyond what city officials are willing to fund with tax dollars to create a more comfortable and welcoming place to live. Little slides shoot coins out of the receptacles in vending machines to make them easier to retrieve. 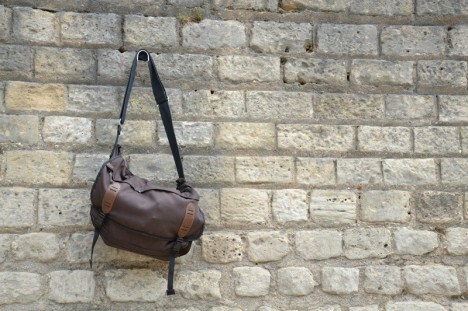 Coat hooks hang helpfully from rock walls near bus stops. 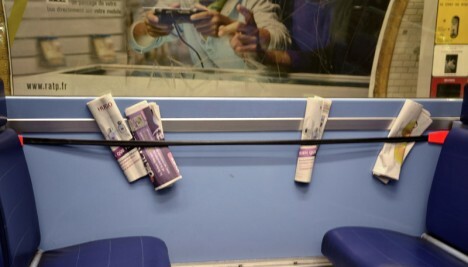 Tension bands hold newspapers against the wall of the subway, offering them to each new rider in turn. 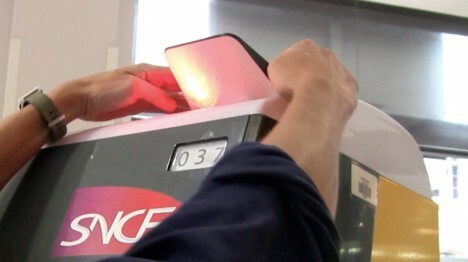 Highly recognizable in bright shades of orange, blue and green, these thoughtful conveniences even go so far as hand-crank phone chargers and reflectors on top of the red and green lights of metro ticketing machines so users can tell from far away which machines are working and which aren’t. 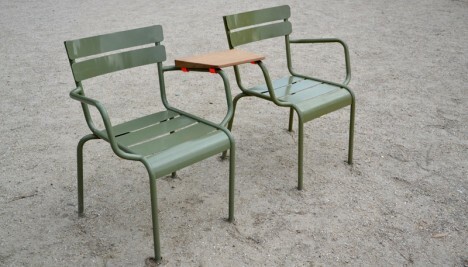 Beyond just installing these items themselves, the designers offer up an explanatory video, manual and all construction plans and files for download on their website so anyone can take the project to their own city.